LONG BEACH — A new mooring field is taking shape on Belmont Shore, hoping to draw a steady stream of local, regional and international boaters to Long Beach. Belmont Mooring Co. set up 20 moorings in three separate fields near Belmont Pier, with as many as 25 more moorings en route before the end of the year. Mooring master Michael O’Toole said his company is trying out the moorings on an as-needed basis, figuring out how to space the fields and configure the mooring balls. Two fields are located on either side of Belmont Pier; a mooring field near Island White is home to seven moorings. Another 10 moorings could be installed by August. “We have a lease with the city to put these moorings in. The city is like our landlord. They are not designed to be occupied all the time,” O’Toole said, pointing out the mooring field is ideal for visiting and transient boaters. Boaters would be allowed to moor for up to 10 days; the mooring fee is $1 per foot per day. Once the mooring field is complete and operational, O’Toole believes Belmont Shore would be a destination similar to Avalon Harbor. According to O’Toole, Long Beach boaters are frequently visiting the local mooring field and remaining aboard their respective vessels. Non local boaters from Newport Beach or Redondo Beach’s King Harbor are also visiting the Belmont Shore mooring field, either as a final destination or as a stop en route to Avalon. 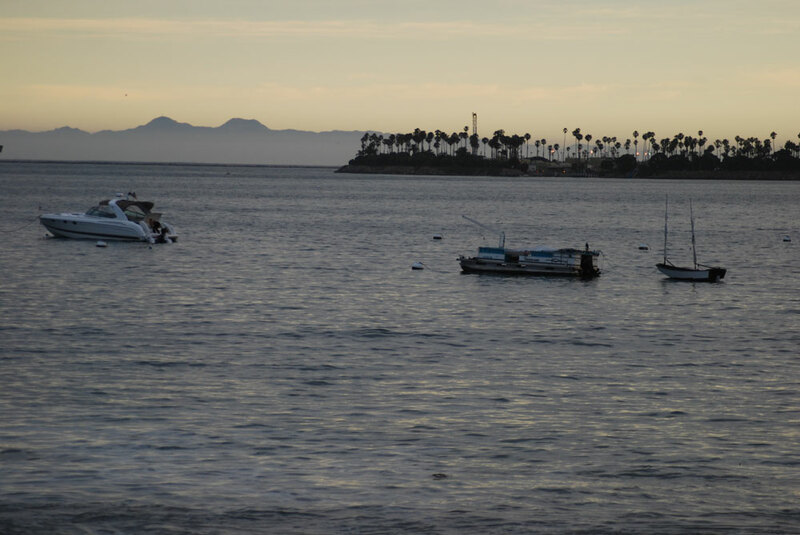 O’Toole described those visiting the mooring field heading to Avalon as “triangle” boaters — a boater from Newport Beach or Redondo Beach navigates into Belmont Shore’s mooring field, stays for a day or two before heading downwind to Catalina Island. One boater visited the mooring field in mid-June as he navigated from Canada to Mexico, Panama and other destinations, according to O’Toole. Another boater moored off the Belmont Shore coast after navigating the world during the past eight years. “We’re getting local people using it, we’re getting the far away crowd doing the triangle run, and we’re getting the world cruisers who are stopping by,” O’Toole said. The mooring field has yet to catch on with at least one local yacht club. Commodore John Fleishman of Long Beach Yacht Club said he has yet to moor at Belmont Shore; he is unaware of anyone within his circle taking advantage of the new mooring field, as well. However, Long Beach YC Port Capt. Camille Daniels said Belmont Shore’s mooring field would be attractive to transient boaters. Long Beach YC member Bill Durant mentioned that the club’s Cruisers Club has used the moorings, and he plans to us them this summer. Boaters visiting the Belmont Shore mooring field can check-in anytime after 10 a.m.; check-out is at 10 a.m. the following day. O’Toole added the field’s close proximity to the Long Beach breakwater means the water is calmer at Belmont Shore than Avalon. For more information, visit belmontmoorings.com.